Hello everyone. 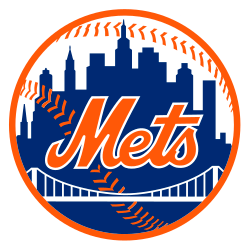 If you are a MET fan, jump on this conversation. From now on anything I write about the METS will appear as part of this post. This way we’ll keep all the comments in one place and keep the conversation going! This entry was posted in Baseball, NY Mets, Sports and tagged John Buck, Marlon Byrd, METS, New York Mets, New York Mets minor league players, NY Mets, Pittsburgh Pirates, Run batted in, Sandy Alderson. Bookmark the permalink. Matt Harvey’s elbow injury was a crushing blow to the Mets future plans. Should Sandy Alderson look for a starter or count on the young guys to keep the ship steered in the right direction? With Mike P and my brother Lou. We all expected for next season. We need power hitting ! I am willing to go with Niese , Wheeler, Gee, Mejia to get us the starts needed to compete. If we can pick an innings cruncher all the better…but we need a thumper or two in the lineup as the priority.